You are currently browsing the tag archive for the ‘False Prophets’ tag. If I only knew how much these words would define my life. As soon as I said yes to writing a book, this scripture literally showed up everywhere. “Fine, I got it God”! So The Narrow Path would be the title to my book. But at the time I didn’t understand the magnitude of just how narrow that path would become. It was a miracle, an absolute miracle that I had been saved from such a web of lies, but I never expected to find it in the church. Understand this…..there is a false gospel, and a different Jesus. That same new age version of Jesus exists in a growing movement known as the New Apostolic Reformation. It is a mystical miracle movement that seeks to bring back office of Apostle and prophet who receive new revelation. God’s word has merely become a side dish, instead of the main course. The NAR is rapidly growing, and will deceive many. Growing up I was always attracted to the mystical. I had various supernatural experiences that led me down a very dangerous path. Fast forward to my early twenties, and I became very involved with yoga and Eastern spirituality. I thought I could just combine Jesus with my practice of yoga and mysticism. I considered myself a Christian mystic. At a certain point in my life I began questioning my spirituality, and seeking to discover who Jesus truly was. As I began to pray to God for answers I had a kundalini awakening that felt blissful at first, but quickly turned into a nightmare, and I became depressed and suicidal. This all became part of God’s plan to shine His light upon the darkness. Having the scales removed from my eyes completely dissolved my view of truth. But I knew that I must leave all behind and follow Jesus. As I began trying out churches I found myself bored and wanting more. Eventually I felt led to attend a small church close to my house. The first time I heard the pastor preach it was powerful! He was charismatic, and such a great speaker. As time went on, I absolutely loved this church! Everyone there always showered me with such love. It was just what my soul was thirsty for. I remember the first time attending a monthly event called ‘Friday Flow’. It was a spontaneous night of worship, where people could just flow in the spirit. There would be repetitive type worship songs, and prayer to induce a meditative type state and change the atmosphere. People there would flow in the holy Spirit and have visions and prophecy. I felt completely changed and renewed. As I sat observing and quietly praying, I felt the presence of the Holy Spirit encompass my entire being; a warm blanket of peace surrounded me. In an instant I felt my heart soften, and realized for the first time the love of the Father. That was the night I completely gave my life to Christ, and changed dramatically. I immediately noticed huge changes in myself, and would dive into God’s word, and fast from food. I was trying desperately to get to know my savior. The Lord was with me during this time, but I had no idea how much some of these intense feelings of love would fade. This was a confusing time for me, as I was also going through intense spiritual warfare after my baptism. One thing I always seemed to notice was every time at our Friday flow meetings, and after I would experience the “presence”, I would feel very oppressed. I chalked this up to spiritual warfare, and thought the demons were mad that I was experiencing God. Currently, I’m not too sure that was the case; perhaps I was opening myself up to warfare by engaging in mystical practices. Now I did experience things that could only be from God, but I started to question the manifesting of the environment. I now understand conjuring up a presence, and getting into a trance like state is nothing more than sorcery. 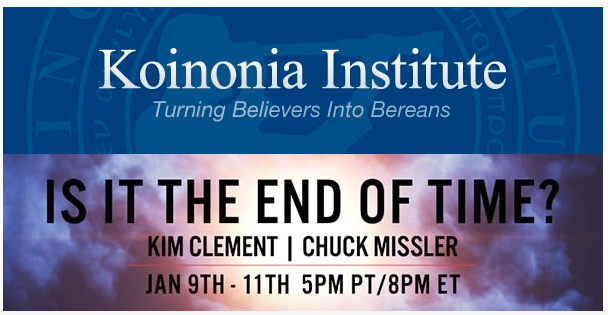 For the past few years, we have documented the ever-mystical leanings of notable Bible teacher and author, Chuck Missler, ultimately listing him among a group of evangelical teachers we’ve dubbed ‘Postmodern Prophecy Paradigm’ (PPP) leaders, because of their gravitation away from sound truth revealed in Scripture alone, coupled with their feverish efforts to re-fashion end-times prophecy to fit their extra-biblical speculations. We have written extensively and in detail of these seductive, morphing departures from the Word of God. [v] The end result has been a toxic mixture of truth and error—leading away from Christ and headlong into the occult. I have just returned from preaching at a pastors’ retreat. On one of the days I had to deal with the issue of false prophets and teachers. Whereas previously I would have had in mind the major Christian cults (e.g. Jehovah’s Witnesses), this time at the back of my mind was the extreme Charismatic “deliverance” movement. I saw this as a greater danger to evangelicalism because it is a Trojan horse. During our discussion time it became apparent that I was correct. Although while I was teaching I did not mention the Charismatic “deliverance” movement, almost all the questions were related to this phenomenon. It is a common vice. My chief concern about this movement is the loss of the gospel. In my personal evangelism I often come across individuals who are members of these churches and all their talk is about perceived miracles and deliverance but never about repentance and personal faith in Jesus Christ. There is something definitely wrong with that. The regular content of preaching on TV confirms this. I never hear a straightforward sermon on the death of Christ as God’s atoning sacrifice for our sins. I never hear preachers calling hearers to repentance and faith in Christ. Rather, whatever passage the preacher is dealing with, he soon makes a beeline to felt needs (barrenness, lack of or infidelity in a spouse, a “curse” in your wider family, lack of employment, etc) and then appeals for any individuals going through this to “believe” as he—the preacher—is about to pray for them. The consequences of the loss of the gospel have been disastrous. Churches are filled with happy-clappy people whose lives are whitewashed tombs full of dead men’s bones. This must be obvious. The gospel alone changes people’s hearts. Once you lose it, you will have the crowds but without sanctified hearts. Their religion becomes a thin veneer that covers unbridled sinful passions. In the end, those who know the truth about the scandals and the skeletons in the wardrobes of church-going people blaspheme the Lord’s name. It is terrible! In most cases, the deliverance supposedly takes place as the preacher is praying. This is not just a TV phenomenon. It is now the highpoint during church services. After all the singing and dancing, there is a sermon. It amounts to something like, “So-and-so came to Jesus or Paul for deliverance, this is your day to also be delivered. Just believe.” Then the invitation is made for those with any needs to come to the front for the deliverance. There is no doubt that this draws the crowds. However, it is not because there are any miracles taking place. Far from it! It is because of the phenomenon of people falling down and writhing on the ground. It is precisely the same kind of phenomenon that draws crowds to the local witchdoctor. There is only one difference. We are supposed to believe that it is the devil who does these things at the witchdoctor’s den but it is God who is doing it at the “deliverance” church. My quarrel is with turning a worship service into a deliverance session. Every Sunday ends with people coming to the front to get their “deliverance”. Is this what was happening in the days of Jesus or that of the apostles? Even a casual reading of the book of Acts does not give me that impression. It is clear that worship services were for singing and prayers going up to God, and the Word of God being preached for the salvation and sanctification of the people. After which they went home to think about and apply what they had heard. When I question all this, I sometimes get accused of not believing in a God who can do the miraculous today. That is not the point. My quarrel is with the “man of God” phenomenon that is utterly unbiblical. It steals away from the priesthood of all believers and reduces it to the priesthood of “the man of God” who seems to have powers that ordinary Christians do not have. Hence, his prayers (and those of his wife) are anointed while the prayers of ordinary John and Mary are not. In the Bible, the phrase “man of God” was applied to prophets (as vehicles of God’s self-revelation) and not to priests (as miracle workers). Granted, some of these men of God (like Moses) were also miracle workers but that was not the essence of this phrase. Hence, you find men like David being referred to as men of God (see 2 Chronicles 8:14) but they never performed a single miracle. Thus Paul was also able to apply it to Timothy in the New Testament (see 1 Timothy 6:11) and as far as we know no single miracle was performed by Timothy. This answers the question that I was asked at the pastors’ retreat: “What if, while I am preaching, some demons manifest in an individual?” My answer is simple. Ask a few mature Christians in the church service to carry that person out to another room so that they can pray for him and continue with your sermon. Why keep everyone waiting for the next hour or two while pandemonium breaks out in front of the pulpit? There are no special powers in the prayer of the preacher, which ordinary Christians do not have in their prayers. It is the prayers of a righteous man that avail much and not the prayers of some anointed “man of God”. In fact, from the scandals filling up our history books, we are learning again and again that the so-called “men of God” are often not even righteous. I am very concerned about the “false prophets and teachers” of our day, who have come into evangelicalism through the back door. As I said earlier, this is a Trojan horse. The loss of the gospel, the loss of worship services, and the loss of the priesthood of all believers is a matter of grave concern. If we do not arrest this trend there will soon be serious animism and syncretism in the church, until there will be no difference between what takes place in the witchdoctor’s den in the village and what is taking place in church. God forbid that it should be so! If you’ve ever listened to Rick Wiles TruNews broadcast you’ll know that apocalyptic imagery and urgent warnings of the imminent destruction of America are at the core of his message. Regular listeners are constantly regaled with stories of evil perpetrated by powerful forces intent on destroying America. At the same time the sins of unbelievers in our country are quickly bringing down the wrath of God upon us all. In the midst of his cataclysmic doom-saying, Wiles often expresses a desire to preach the gospel to the USA one final time before it’s too late. Unfortunately he always seems to be lacking something to accomplish that goal and that something is usually money. Now you might ask yourself the question; If Rick really has a burning desire to reach the lost why doesn’t he use Trunews and his world wide platform of radio and internet broadcasts to do that? I’ve wondered that myself. But no it seems no matter what he has, he can’t really reach the lost unless he has an even bigger stage, and much much more of your money. Back in 2009, Wiles claimed that God had spoken to him to erect a 1950’s style revival tent in South Florida. From that tent Wiles pledged to preach the gospel 24 hours a day 7 days a week. Staff was to be hired, television broadcast time would be secured and the gospel would go from that tent to the whole of America. All he needed was $250,000 from his listeners to pull off this miracle. After numerous delays and postponements Wiles finally erected a tent in October 2011, over 2 years after the originally promised event. In the end there was no additional staffing, no 24/7 preaching, and no national TV broadcast, just a three day event with Wiles, failed politician Alan Keyes, and controversial author/pastor Johnathan Cahn as the featured speakers. During the time Wiles was making excuses for the non existent tent project, he returned to one of his longest running schemes for pulling money from his listeners pockets. That was his dream to launch a Christian Patriotic News Network that would rival CNN and Fox. All he needed for that was $1,000,000. At that time he specifically targeted wealthy elderly listeners encouraging them to leave their money to him to help prevent a communist takeover of America. Never one to be discouraged by the failure of his God ordained projects, Rick valiantly soldiered on predicting the imminent destruction of America. In early 2010 he stated he had a direct word from the Lord regarding events that were soon to occur. He (Rick) will broadcast from a remote location. He has peace about where God is sending him. He (Rick) has too many enemies here. Rick Wiles will leave – will go somewhere else before end of 2010. America’s Hope tent meetings will take place first – he expects that will be his last ministry inside the borders of the USA. By May of 2010, Wiles was even more specific as to the nature of the upcoming disaster. Naturally after the year ended with no nuclear explosion nor any staggering stunning event, Wiles wasn’t humiliated enough to stop prophesying. He simply continued on to his next apocalyptic vision allowing others to speak the “word of the Lord” instead of himself. In 2012, Wiles again claimed the year would bring judgment, bloodshed, and captivity. This time he made it clear that these weren’t his personal prophecies but rather a collection of dreams and visions from his listeners and others with whom he was in contact. Since the beginning of 2012, I have detected a marked intensity in the warnings from God. They are coming to me from various sources and ways. Many people are experiencing disturbing dreams. Others are seeing visions. In recent weeks the warnings have taken on an alarming new level of urgency. Reports of prophetic dreams and visions are flooding into our offices daily in recent weeks. 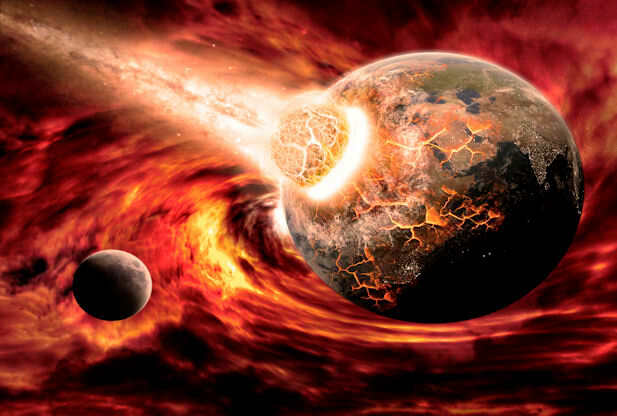 Without a doubt, I am convinced that one or more catastrophic events will strike the USA before the end of 2012. Several days ago I received three more prophetic dreams from two people who listen to the Trunews radio program. They arrived in my email box simultaneously. I was stunned by the dire warnings of imminent judgment, bloodshed, and captivity. Unless God intervenes, I do not believe the USA will be a free nation beyond November 2012. Again, Wiles sets a prophetic timeline for these events. Christian men and women are privately telling me that God is strongly telling them to have everything in place in July or August. Many of them are selling everything and fleeing the USA. Remember in 2010, Wiles said specifically that he himself would soon be leaving the country. Now he says others are ‘hearing’ the same thing. If you are beginning to suspect that Rick Wiles uses fear mongering and doom-saying as a hook to raise money from his unsuspecting (and possibly paranoid) listeners, you may just be right. And what do you suppose Wiles was actually doing during all this time, a time when the destruction of the USA was imminent, a time when God was speaking to him to leave the country, a time when “many” Christians were selling everything and fleeing the USA? Wiles wasn’t selling, he was buying. One item he bought was this 11,000 square foot strip center in Vero Beach. That’s right. Rick Wiles wasn’t making plans to flee the country. He wasn’t about to hunker down in a foreign country or some nearby island bunker. No sir he bought himself a brand new world headquarters and broadcast studio right there in Florida. And now we have even more stunning news. In his recent newsletter, Wiles announced that God told him he had until the year 2030 to accomplish his work. So remember the next time Rick Wiles tells you the destruction of the USA is imminent, and I’m sure it won’t be long, actions speak louder than words. Wiles own actions show him to be a false teacher and a false prophet. Even he doesn’t believe the nonsense he’s spewing. If he doesn’t believe it, why should you? Last year around Christmas time, I was part of a prayer group where I live. It was a small group that met 1-2 times a week. All of us were DESPERATELY seeking God. It was a good fellowship. One evening after the session ended, I was tinkering around on the drums when one of the brothers, Dan came up to me with a look of soft urgency in his eyes. At this response, I saw Dan’s face light up as if he had just received a shot of adrenaline. I knew he was ready to share, so sensing this, my drumming gradually teetered off into a complete silence. It was then that Dan began to advise and enlighten me about Bill Johnson’s Bethel Church in Redding Ca. Also he gave me the scoop about the churches School of Supernatural Ministry. [Side note: I hate typing for long periods of time so this is going to be a truncated account and I’ll add more details over time.] Okay, so Dan who has no binding ties to Bethel, suddenly sounded like one of their top recruiters/ pitchmen. He began to tell me about how the presence of God permeated and saturated the campus at Bethel. He RAVED about the school. He RAVED about the music in the worship services. He RAVED about the teachings of Bill Johnson and Kris Vallatton. He raved about everything from the prayer tower to the coffee shop. After about an hour and a half of what could’ve EASILY qualified to have been a top notch infomercial, Dan made me an offer that two weeks later I found out…”I couldn’t refuse.” Dan told me that he was so confident that my walk with Christ would intensify by leaps and bounds by going to Bethel, that if I agreed to go, NOT ONLY would he pay my transportation there…he would also PAY THE $9000.00 Tuition required to attend the School of Supernatural Ministry. At the time it really sounded cool, but I was comfy here at home and saw no need to make any rash moves. However, later, some things were being shaken up at home and I began to lose peace. I remembered Dan telling me of the intense peace that was present aroung the Bethel atmosphere. Being that he contacted frequently to pitch me on Bethel after that prayer meeting night, it was during one of the times we made contact…I succumbed. I said okay Dan…I’ll go check it out. The next day we were at the Greyhound station. However, I got cold feet and asked for more time to think about it. After all this was new territory for me, new town, nowhere to live, new people was no big deal…I’m as gregarious as they come. I LOVE PEOPLE!!! Anyway, after thinking about it, I took the dive. The next day I was off to Redding. Set up with a nice motel, I found my way to Bethel the next day, and this would be the beginning of the road to my NIGHTMARE. Please note though, it didn’t start out that way. When I attended Bethel for the first time it was LOVE AT FIRST SIGHT!! And that ”love” would continue for the next two months. I immediately called Dan to tell him how right he was about everything. I even went on to tell him that he UNDERSTATED his description. I SWORE that I had died and gone to heaven. People seemed to really love Jesus. The view from the top of the mountain was ABSOLUTELY BREATHTAKING!!! There was something going on ALL OF THE TIME…LITERALLY 24/7. Being one that’s GREEDY FOR GOD, it was the perfect milieu for me and my insatiable appetite for HIM. There were ubiquitous house groups within the community and I loved attending them. It reminded me of the New Testament church in Acts. I went to EVERY possible function that I could, and there were ”ZILLIONS”. During a house meeting I was offered a place to stay…for FREE. And that was just in the nick of time as I began running out of money. A few days later, I began living with students from Bethel’s school. Still floating on a cloud, I just seemed to see God’s hand moving at every turn I made. Even from my first visit, I would get myriad ”words of knowledge” spoken to me by many people EVERYDAY. I still have them written down. I think maybe ONE came true, but I know NOW that it was just a lucky guess..the rest em’?? UN-lucky guesses…lol. So to make a long story short , I absorbed every thing Bethel offered I dove in seven days a week. I had my first ”fire tunnel” experience at a house…my first impression…OVERRATED!! While everyone else that went through it laughed and convulsed hysterically, I was unaffected EVEN in spite of the countless attempts of others to ”IMPART” (one of their buzz words) into me what they were feeling. Also, I found it strange that I couldn’t even communicate with people even about simples matters like the weather or a basketball game without them jerking, shaking or convulsing…these convulsions were so profuse within the cult that for me it QUICKLY became overkill. Another idiosyncrasy was the constant belting out of the phrase…”’WHOA” OR ”WOE” This is heard constantly. Still seeing through rose colored glasses though, I overlooked the weird behavior and justified it by concluding that ”God loves it when his kids are having fun with Him” Gradually though, I started deducing that this wasn’t mere fun…it was borderline mockery, the shaking, the jerking, the laughing, the cackling, the convulsing….it just went on TOOOO MUCH!!! If it were done in moderation, it may have gone undetected by me, but this was INSANE!!! Later, I started noticing a LOT of name dropping from the pulpit (mostly from Bill Johnson) of false prophets and wolves like Bob Jones, Patricia King, Todd Bentley, Heidi Baker, and a plethora of others… This was constant, and when these names were mentioned, cheers went up with the fervor and magnitude of a Super Bowl touchdown reaction. During my entire time there, I NEVER ONCE heard Jesus get even a fraction of that type of praise,worship, or delightful frenzy. I might add that NEVER ONCE did I hear salvation, repentance, holiness, righteousness, judgment, or wrath preached, neither from the pulpit nor when I’d travel the streets with them. The whole business plan (because it’s NOT a ministry) is to focus on LYING signs and wonders….impotent magic tricks. I’ve always wondered why Bill would rave about all of these so-called and UNDOCUMENTED ”miracles” happening through Bethel around the world, YET, when it comes to home, we never get to see any of em’ manifested. For instance, Bill and his wife both wear prescription glasses…where’s the healing?? Bill had a hernia surgically removed…WHAT??? No miracle?? Bill’s son Eric is deaf and has a speech impediment…C’mon Bill…that’s your son..HEAL HIM!! !…Bill and his wife have gray hair (a sign of zinc deficiency)…but no ”supernatural” intervention has taken place, yet all of this GREAT stuff is happening EVERYWHERE ELSE EXCEPT HOME ON BETHEL’S TURF!!! Gimme a break!!!. I had already stopped going to the church. When I first got there, for the first two months, because God gifted me with charisma, celebrity looks (and I don’t say that arrogantly) and the ability to draw people, I instantly became EXTREMLEY popular. By the time I left Redding, I was considered a pariah in some circles and cliques within. Even though I lived with Bethel students, I began to expose Bethel, Bill Johnson, Kris Vallaton, Danny Silk, and ALL of the celebrity WOLVES in their within their evil and deceptive cabal. People that used to ”love” me (so they said), snubbed me on the streets. They unfriended me on facebook. They’d give me looks of sheer disdain whenever we’d cross paths…we’re talkin’ some of the same people that I’ve prayed with, broke bread with, and had gotten venerably intimate with. When I stopped going to the church and began staying home and listening to REAL MINISTERS OF GOD like Michael Boldea and Mike Hoggard, Paul Washer and David Eells, I got flack from my roommates saying that those guy were mad and didn’t know God.They asked me not to play their sermons But I’d ignore their comments and continued to feed on what was REAL GOSPEL. I would often challenge my roomies and other Bethel ”robots” on Bill and Kris’ theology and their twisted new age ”sermons” WITH SCRIPTURE and it ceased to surprise me anymore that they’d rebuttle my challenges with quotes from one of Bill or Kris’ books. IMAGINE THAT!!! They ALWAYS tried to refute GOD’S WORD with quotes from books written by their false teachers. Can you say MIND CONTROL??? So after 2 months, I stopped going. I continued to live with the students because it was a ”phat crib” OR, a nice house for those who are linguistically challenged in ”SLANG”…LOL I was paying rent by this time in a new home and different students. The landlord approached me one day while shooting ball in the yard and told me that if I didn’t start attending Bethel and doing what they call ”SOZO” classes (which is simply /new age mysticism/chanting/ contemplative prayer or ”soaking” kinda stuff) that I would have to find somewhere else to live. It was my 4th month in Redding and that was my ”Q” to leave. My wife was on the phone when this happened. I had my bluetooth in my ear and the landlord wasn’t aware that I was on a phone call at the time. My wife COULD NOT BELIEVE HER EARS!!! We both knew it was time to ”GIT OUTTA DARE”. I became good friends with Mike Hoggard while going through that trying period, and he REALLY helped sustain me in prayer and encouraging words. I initially was going to relocate to where he is and get some discipleship and restoration. But God led me home. Let me give you one more story here before I close. There was a class held every Sunday called ”Fire Starters” birthed out of the Toronto Blessing movement. This class was supposed to ..get this…”TEACH” PEOPLE HOW TO PROPHESY…LOL!!! Yes…I laughed too!! So anyway, every class people were randomly called to the front of the room, they were lined up, and asked to pick someone in the room and give them a word of knowledge…BUT THERE WERE RULES…WHAT EVER YOU SAID HAD TO BE SWEET, KIND, AND MAKE THE PERSON ”FEEL” GOOD…Those are the rules verbatim!!! After weeks of seeing this nonsense and people stating the obvious and touting it as hearing from God, out of frustration, one Saturday night, I decided to MAKE UP, FABRICATE a ”word of knowledge” just in case I would be picked out to prophesy in tomorrow’s class. And whaddaya know…I get picked. When my turn came, I shared my FABRICATED ”word’. It was this, ”there’s someone here who’s been strategizing suicide, and the devil is tormenting you. If you’ll raise your hand, we can pray for you and you can be released.” Much to my surprise, a hand went up…WOW….I’m like okay God, you used my prank to REALLY get someone’s attention. ”Praise You”. But I was about to get an even BIGGER surprise, because, I immediately thought the room would shut down and people would bombard this poor girl who planned to take her life, so they could pray and labor over her soul, but NO!!! That’s NOT what happened. Instead, I got reprimanded by Kevin Dedmond, one of the ”leaders” (you can see his crap on you tube w/Sid Roth),and I was told that I’m to only say things that make people feel good. And they resumed right back into letting people perform their exercises of divination, cause that’s what it REALLY is. More upsetting is that when class dismissed, out of a room of about 150ppl, I only saw 2 people (excluding myself), a couple go minister to that girl…everyone else??? Well, they were too anxious to go through the FRUITLESS ”fire tunnel” so that they could appease their flesh…and so they did…THEY LAUGHED, THEY JERKED, THEY SHOOK, THEY CONVULSED, THEY WRITHED IN THE FLOOR, and to this very day…they call it GOD. Tom Horn: Profiting from false prophecy? Is Tom Horn making money on false prophecy? The list of books published by Tom (Thomas , or Thomas R.) Horn is long. He has compiled a list of books that many say are reality when it comes to the subject matter of prophecy and current events. Now you ask, why is Tom Horn worth writing about? Because each of us needs to determine whether Horn is a ‘false prophet’ or not. Yes, there have been many false prophets in the last few decades, but Tom Horn seems to be making the most profit from his particular brand of prophecy, or should we call it “profit-cy”? Petrus Romanus, Project L.U.C.I.F.E.R., and the Vatican‘s astonishing exo-theological (outside of theology) plan for the arrival of an alien savior. The term “alien savior” should make one stop and say ‘what’? But this is what he (Horn) is portraying that the Catholic Church is prepping for. Yes, an “alien savior”. That is certainly quite different than what I know, understand, and have learned about the Bible, and the return of Jesus Christ to Earth! Using Common Sense: Now, don’t get me wrong, there are plenty of things happening around the world to make one wonder if we are on the fringes of the end times, but we have to be realistic about that concern. Are We Seeing the Signs of the Close of the Age? The Church in our time appears huge, but this is only in appearance. It is thousands of miles wide, but only a fraction of an inch deep. Much of what claims to be Christian is not and proves it by what is actually its focus and what (or who) it actually worships. The focus has its foundation in pragmatism and its worship is nothing more than self-aggrandizement. They give lip service to their own version of “Jesus” who bears little if any resemblance to the Jesus we read of in God’s Word. This counterfeit Christianity is the majority while the true Church, which is made up of those saved by grace through faith because of God’s election and effectual calling is the minority. This should not surprise us because the Word of God tells us that this will be case as this age comes to a close to make way for the age to come. Over ten years ago, I remember being bombarded with disasters that were predicted to happen. Some came from sources like The Elijah List, some from radio talk shows, some from well-meaning friends. But they didn’t happen. Some warnings even had built-in escape clauses if the prediction did not happen. Most unrealized disasters were shrugged off and it was on to the next-case scenario. What frightened me most… many of the prophecies echoed messages coming from sites like TopSecret and GodProductions where people openly admitted to listening to their spirit guides. The connection and implication is startling. I was once deceived myself and was listening to the enemy who gave me a prophecy about an impending disaster with a time frame. It did not happen and I knew something was terribly wrong. What I thought was from God was from an evil spirit. God then led me to Deuteronomy 18:22. “If what a prophet proclaims in the name of the Lord does not take place or come true, that is message the Lord has not spoken…” Then 1 Samuel 15:23 hit me like a ton of bricks…”For rebellion is like the sin of divination…” I was not hearing from the Lord and was guilty of divination. I repented of my sin and the counterfeit “gift” left me. Instead of focusing on the Written Word of the canon, I opened myself up by heeding instead of testing the spirits. I had prayed for truth and the Lord was gracious to clearly reveal it to me. This article is very important to me and I agree with the writers fully. We should and be can spiritually prepared and ready for what is to come, but all the false predictions causes scoffing and makes Christianity look foolish. The epistles throughout warn us of deception in the church and there is a war on the saints. Take a look at the end notes which are also very interesting. for the heathen are dismayed at them.